Felice Colucci graduated in Electronic Engineering in 2000 and has been working at CRS4 since 2001. His research activities have covered areas ranging from design and development for embedded systems to the creation of web services; he has also taken part in projects for the dissemination and communication of science. 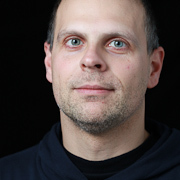 He is currently involved in activities related to computer vision, speaker recognition and artificial intelligence.